The province of Egypt provides unique archaeological and documentary evidence for the study of the Roman army. In this fascinating social history Richard Alston examines the economic, cultural, social and legal aspects of a military career, illuminating the life and role of the individual soldier in the army. 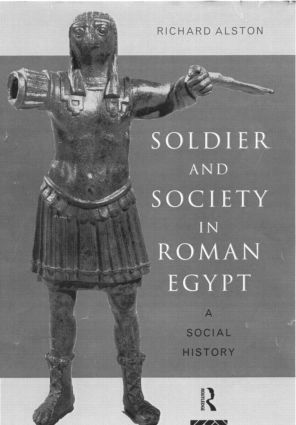 Soldier and Society in Roman Eygpt provides a complete reassessment of the impact of the Roman army on local societies, and convincingly challenges the orthodox picture. The soldiers are seen not as an isolated elite living in fear of the local populations, but as relatively well-integrated into local communities. The unsuspected scale of the army's involvement in these communities offers a new insight into both Roman rule in Egypt and Roman imperialism more generally.